Release price guide: Are you experienced? on label Reprise with catalogue numnber RS 6261, The United States. Jimi Hendrix Record Value Release price guide: Are you experienced? on label Reprise with catalogue numnber RS 6261, The United States. Are you experienced? is the collectable edition of title Are you experienced recorded by Jimi Hendrix Experience. 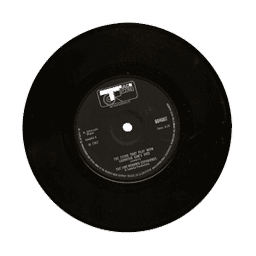 The record was published with catalogue number Reprise RS 6261. This pressing was released in The United States. This record was release on 0000-00-00. It was released as a LP (12") and appeared on the Reprise record label. The sleeve cover was designed by an unknown artist. Our auction results for RS 6261 were last updated on 2018-05-05. Out of 861 auctions 423 items were sold. The best auction result was $462.99 On average $30.15 was the price paid for this record. American edition RS 6261 (30,681), this introduced the question mark in the title which was never used in the UK version. This release features the tracks "Hey Joe" and "Purple Haze" instead of "Remember" and "Can you see me". Other differences from UK version: "Foxey lady" instead of "Foxy lady", "Third stone.." instead of "3rd stone..". Record has tri-coloured label (green, pink, yellow). JIMI HENDRIX1967 ARE YOU EXPERIENCED LP/2-TONE/VG++!! !